Do you manufacture your products using a fixed mixer? Are you finding that you need to perform more and more recipe changeovers and therefore cleaning more in between batches? Are you concerned about the financial impact of lost productivity due to downtime? Is cross-contamination a concern? Do you need a more efficient, flexible system that is proven to mix your exact recipes? Is production capacity affecting your ability to respond to customer demand? If the answer is yes to any of these questions, then read on. We get asked these questions all the time by business owners and production operators struggling with their existing production lines. To help you, we sat down with Richard Meheran on the Sales Engineering Team to get his view on these challenges and what he suggests to manufacturers currently experiencing these problems. What Mixing Method is Best for Your Products? Firstly, you need to look at the volumes of each product mix that you produce. If you only mix a few product lines, but mix in bulk quantities, then a large (maybe fixed mixer) could be the best solution for your manufacturing facility. 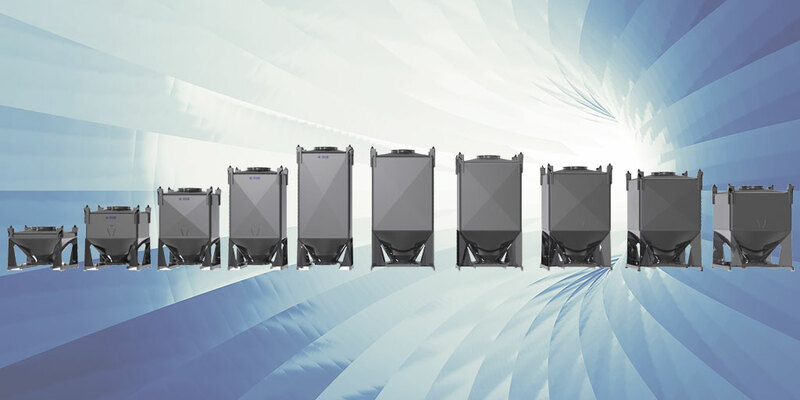 However, if you’d like to add flexibility and be able to pre-mix and pack off-line to become more efficient for example, then adding Intermediate Bulk Containers (IBCs) to your current fixed system is the solution for you. If, however, you are creating more product varieties with smaller batches at a time or expected to manufacture last minute orders, then a process where you separate each processing stage into a fully modular, mobile containment system is the best solution for you. Every processing stage would continue simultaneously with no cleaning or downtime. How Do You know That Your Exact Recipe Will Be Mixed Fully Using a Different System? Over the last 35 years, we’ve gathered a huge resource of historical data that demonstrates how a range of mixed recipes and ingredients behave. But every recipe mix has its own nuances so we always advice using our testing facilities with your specific ingredients and the proposed mixing equipment especially if you’re looking to add any new equipment to your current system and especially when replacing or introducing an entirely new production line. Your end product analysis from flavour/colour dispersing or salt/milk powder/granule segmentation has to be exacting or the equipment change isn’t a good fit for you. If Testing Proves the Equipment Works for Your Products What’s Next? If you are creating a new manufacturing facility, you’re in the optimal position to match your planned space, number of floors, zoning areas etc. with the most efficient processing system and layout. We can assist you with CAD drawings and process flows to help you arrive at the best production line for your new facility. If you’re refitting an existing manufacturing facility you may be able to switch production to another site and close one entirely while the equipment is changed over. This effectively gives you the same planning flexibility as creating a new facility from scratch although existing structural constraints will need to be considered. If the current system has a fixed mixer coupled to the next processing stage e.g. further processing or packaging – you could decouple this mixing stage from that next process stage and introduce an IBC (Intermediate Bulk Container), enabling that stage to continue even when the fixed mixer is dormant. In a similar way, you could decouple the feed material into the fixed mixer. By not having to rip/tip bags into the fixed mixer, 20 to 40mins of operator time could be reduced. This also enables pre-mixing to occur without having to wait for the fixed mixer. 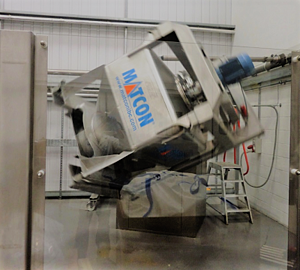 IBC filling takes less than 5 mins creating better utilisation of the mixing process. These are just typical suggestions, but a site visit from one of my team would quickly determine the best approach for your circumstances. How Can You Improve Your Mixing Capabilities? Mixing is just one part of your manufacturing process, so before mixing recommendations are made its important to take a view of the production line as a whole to see where efficiencies can be made. Typically, we would review your entire manufacturing processes; to determine if there's any quality, efficiency or time delay issues. If you’re engaged in small batch manufacture, how many recipe varieties are needed and what kind of ingredients are you mixing? Generally, the introduction of IBCs into any production line will deliver instant benefits over and above fixed mixers. To read more about improving your mixer capabilities visit our blending resource page here. No waiting time while the mixer is offline, with IBCs product is mixed in the IBC and the IBC itself moves down the production line. If you feel that you could benefit from introducing in part or full IBC equipment or need help planning a new production line get in touch with Richard or one of our specialist engineers who can advise on the best solution for your products.